KLM Royal Dutch Airlines and QANTAS Airways, Australia’s national carrier, have signed a code-sharing agreement, allowing both airlines to expand their networks substantially. For KLM passengers, this means they can fly from anywhere in the world, on a single ticket, with full baggage transfers, via Singapore to Sydney, Melbourne, Brisbane or Perth. The code-share begins on October 31, 2018. KLM will attach its flight number to daily flights between Singapore and the four key Australian destinations listed above. QANTAS will attach its QF code to KLM flights between Amsterdam and Singapore. 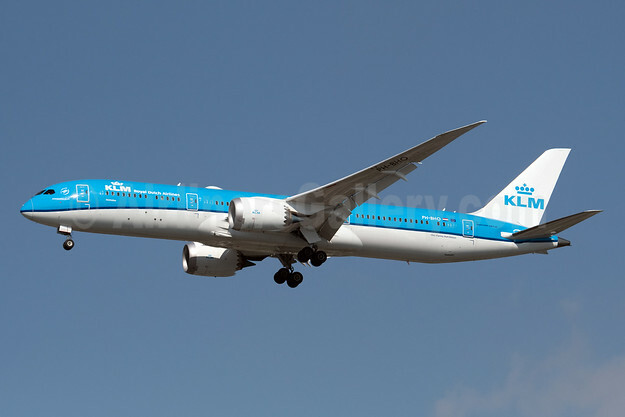 Top Copyright Photo (all others by KLM): KLM Royal Dutch Airlines Boeing 787-9 Dreamliner PH-BHO (msn 42509) JFK (Fred Freketic). Image: 943707. This entry was posted in KLM Royal Dutch Airlines, QANTAS Airways and tagged Boeing 787-9 Dreamliner, KLM Royal Dutch Airlines, msn 42509, PH-BHO, QANTAS Airways on October 10, 2018 by Bruce Drum.